As creatives, we’d like to think all of our art comes through inspiration. Sometimes that’s true…but I believe most of the time it’s just freakin’ hard work. 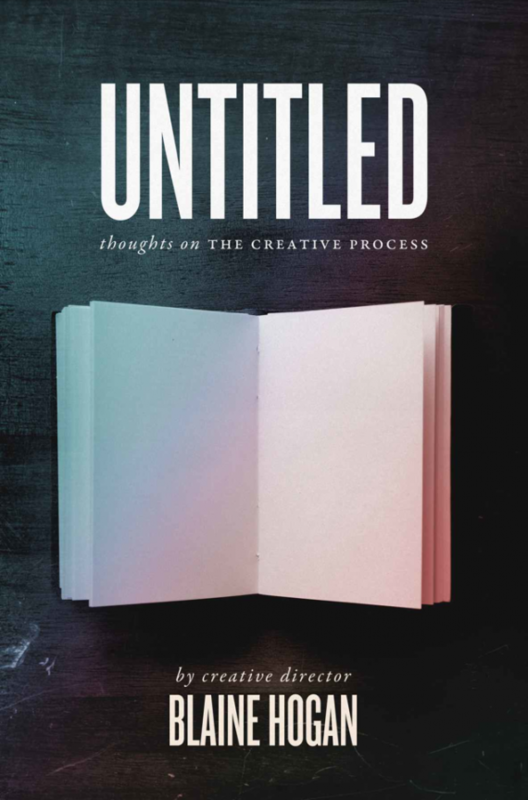 I really appreciated the way that Blaine Hogan looks at the creative process in UNTITLED. He pulls no punches and leans into the fact that we have to be real about the challenges and intense work that it takes to create and experience good art. From clearing up the fact that it’s more than just creating cool ideas (execution of the dream creates the art)…to correcting the assumption that eccentricity breeds creativity (eccentric quite literally means “off center”)…Hogan is consistent in his message that we need to be observant, organized, determined, hard-working, self-evaluating, brave, vulnerable, and honest in our efforts to create. This eBook is a quick read and well worth the time you’ll put into reading it. It’s the kind of book that would be great for creative teams to read and discuss together. Some days it’s terrifying, sometimes thrilling, but mostly it’s just plain old scary. Blaine Hogan’s manifesto, UNTITLED: Thoughts on the Creative Process is here to change all that. *I was given this ebook to review by clark.is. The opinions in this review are mine alone and are not the opinions of the publisher.